Published recently in Addiction and Research Theory, a paper entitled “Social responsibility in online videogaming: What should the videogame industry do?” questions whether developers of online video games should actively do more to prevent players of their games from getting addicted. Should they? Will they? Before we delve into the content of the paper, we should make note that video game addiction has become a growing problem over the years, grabbing many headlines and creating quite the concern. For some statistics about video game addiction, I’d advise to head over to www.techaddiction.ca for some interesting facts about this problem. ONTO THE PAPER I SAY! Do video game makers owe it to players to keep them from getting addicted? The paper, given what we know about addiction to video games, calls for developers to decrease some of the elements in their games that cause addictive tendencies. This includes decreasing the number of long missions, decreasing the importance of doing repetitive tasks for the sake of leveling up characters (Grinding or farming), and making crazy uber-rewards for players who sink countless hours into the game. While many gamers may find these aspect of their favorite games essential, they’re often the most time consuming and addicting parts of them. Should game developers comply? Is it reasonable to be asking them to take measures to prevent addiction when video game addiction, for all intensive purposes, is financially positive? While some of what the paper calls for seems a little far fetched, specifically taking out grinding, some publishers have already taken steps to prevent their games from getting overly addicted. For example, Blizzard Entertainment, the maker of World of WarCraft and most of the games that will get you addicted, took out a reward in WOW for players who reached the highest level possible to prevent gamers from over doing it for the sake of obtaining this reward. Likewise, warning of over-playing have been used in numerous games in the past. 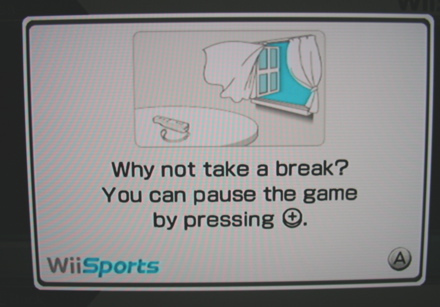 Nintendo, for example, ask players to take a break from playing in several of their games if they exceed a certain number of hours in game. Similarly, games like Animal Crossing even go as far as to only allow players to do certain content during normal hours of the day, not giving players much to do during night hours. These little reminders, while easily ignored, do help to remind gamers that they need to step away from their gaming devices every once and awhile. With gaming getting more and more intertwined with daily life, it’s only natural that more and more gaming will become addictive. You can talk with your friends, watch shows with them and even share content, so the need to remove yourself from your gaming devices is lessening. So perhaps it is up to gaming developers to at least try and make some in-game attempt to prevent their players from over addiction. It’s not crazy, honestly; we ask our manufacturers of Alcohol to ask their consumers to not over do it. Social responsibility for their products is not asking too much of game developers. After all, a healthy gaming populace is a happy gaming populace. If you have an opinion, please let me know! I’m very interested to learn what players of MMOs and other games that fall into what the media calls “addictive” think about this matter. Not being a MMO player, or much of an online gamer, myself I can really only take the stance of an outsider on this. Link | This entry was posted in gaming, Uncategorized, video games and tagged Addiction, Gaming, MMO, Online, Online Gaming, Video Games, World of Warcraft, WOW. Bookmark the permalink.